At Updegrove McDaniel McMullen & Chiccehitto, PLC (UMMC) we understand that everyone has unique needs and goals and objectives. We take the time to talk with our clients and learn about what you hope to accomplish, both short term and long term. Parents can choose from numerous programs to set aside money to fund their children’s education and minimize their tax liability. UMMC can help you select the plan that is most suitable and beneficial for you. It’s never too early or too late to plan for your retirement. UMMC can help you develop a plan based on your timeline for retirement and the standard of living you hope to maintain in retirement. Creating a strategy for your estate that will protect your assets, provide security for your heirs, and minimize estate and wealth transfer taxes is complicated. 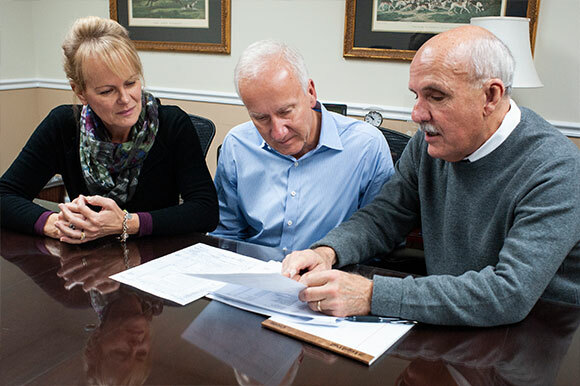 Our experienced professionals at Updegrove McDaniel, McMullen & Chiccehitto, PLC can guide you through the development process and assist you and your family with implementing a plan that includes preparation of annual tax returns and business and family succession planning. Contact Updegrove McDaniel McMullen & Chiccehitto, PLC for all of your family and business tax, accounting, and financial planning needs. We look forward to being of service to you.